DESCRIPTION: The causal agent here is a gall midge. 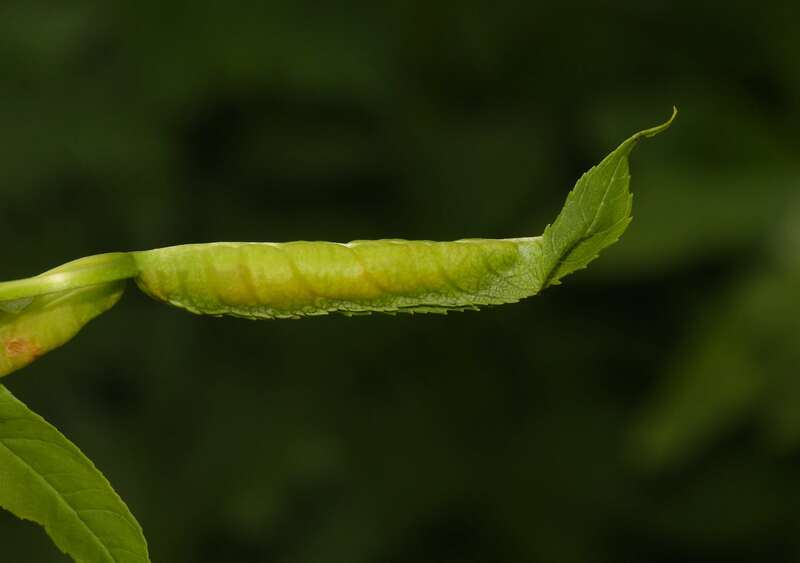 Young leaflets fold upwards from the midrib to form a pea-pod like structure with each gall containing 20 or more white, legless larvae. Once fully fed the larvae will leave the gall and fall to the ground where they will pupate in the soil and emerge the following spring when new Ash leaves are opening. DISTRIBUTION: Widespread and common throughout Britain. HABITAT: Found on the leaves of Ash.